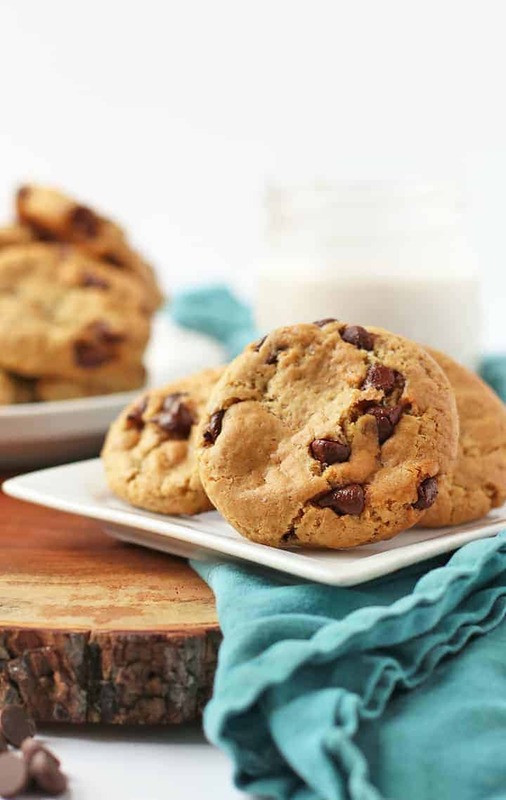 Chocolate chip cookies are an ultimate favourite of everyone who has a sweet tooth. Chocolate, check✅ Cookie, check✅. However, they can be unhealthy when it has too much sugar and most chocolate chip cookies out there that are not vegan. If you’re vegan, why should be left out of the cookie party, right? So, My Darling Vegan has created a vegan chocolate chip recipe with only 9 ingredients, allowing you to enjoy your favourite treat without straying away from your vegan lifestyle. Preheat the oven to 190℃. Line 2 baking sheets with parchment paper and set aside. In a large mixing bowl combine brown and white sugar with coconut oil and salt. Stir until sugars are evenly hydrated. Add apple sauce and vanilla extract, stirring to combine. Sift the flour and baking soda into the sugar/apple sauce mixture and mix until the flour is evenly incorporated and a thick dough form. Fold in the chocolate chips. Scoop about 2 rounded tbsp of dough onto the baking sheets, leaving about 2 inches between cookies. Bake for 10-12 minutes until cookies are lightly brown. They should be slightly under-baked. This will give the cookie the chewy texture. Pull cookies from oven and tap a few times on the counter to allow the cookies to flatten slightly. Let cool on baking sheet for 10 minutes before removing to let cool completely on a cooling rack. Boil apples with lemon juice, cinnamon, sugar and salt in 1 cup water. Add lemon juice if the apple sauce is too sweet. Leave on high heat for a few minutes then lower the temperature and simmer with a cover until apples are tender and cooked through. Once apples are soft, puree until smooth (if your blender cannot handle the heat, let cool first). Store in airtight glass jars of BPA-free plastic jars. You can freeze it until up to a few months. Looking for healthy and vegan friendly recipes like this? Stay tuned on blog for more nutrient-rich recipes that are scrumptious! Your healthy journey starts here!